Y3W | Candy for breakfast! I think it's perfectly acceptable to feed your toddlers candy corn for breakfast the Friday before Halloween, don't you? See, that's what I thought too. Although it was hard to even get those semi-decent pictures of the kiddos in their costumes last night, it was much better than last year. Remember this one? Bwahahaha. It's fun to torture your children, isn't it? I loved the pictures from last year! Mine didn't turn out much better. :) Good luck with your family pictures! I can't wait to see them. That picture of Carter from last year has got to be the funniest thing ever!!! So cute and so much bigger this year! They are PRECIOUS!!! And I must say, I love the pics from last year!! Oh my goodness, those pictures are so adorable (and funny!) I hope they enjoy their Halloween treats! So cute Jenni. Love the comparisons! Have fun at the wedding and your photos will be beautiful, as usual! Oh my goodness, those tears! 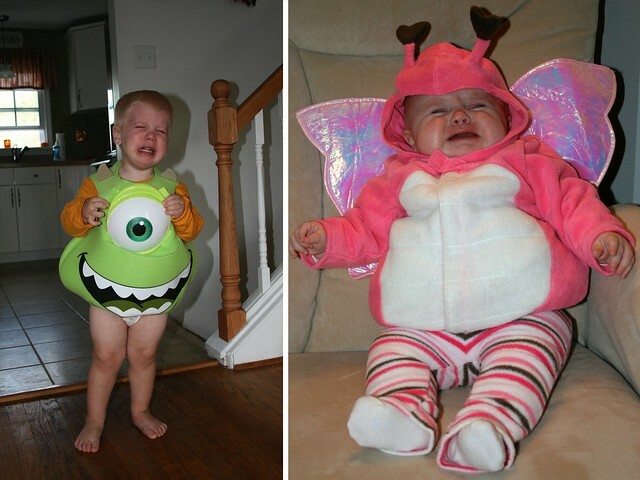 Sometimes I feel bad laughing at tears, but they are just so cute! LOVE Carter's pirate costume! 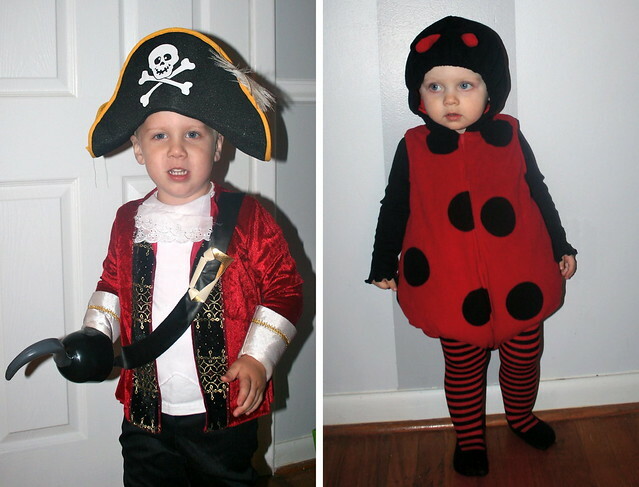 Jacob has already requested a pirate theme for his 4th birthday in March. I'll have to revisit your post from Carter's party this past Summer for some inspiration! I love the lady bug costume :D So much fun!